Zimbabweans must support the country's recently announced monetary policy measures because they are "meant to preserve people's savings at banks", a youth empowerment activist has said. This also comes as government has somehow backed a Zanu-PF youth league's call for punitive action against "economic saboteurs", including currency and commodity speculators by revoking their operating licences and President Emmerson Mnangagwa has urged locals to brace for painful reforms. 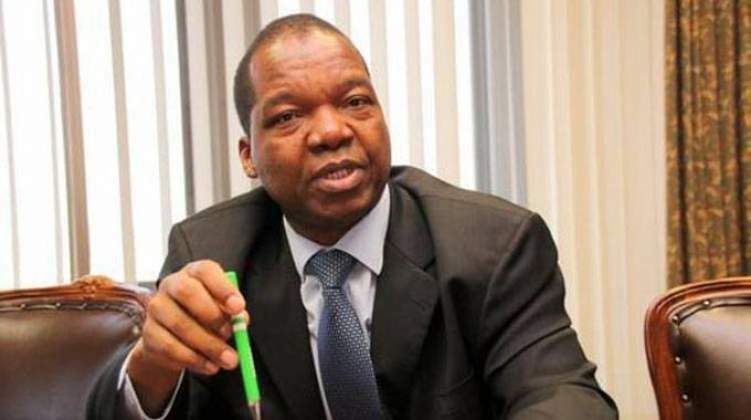 "We must rally behind the new monetary policy regime because it is meant to preserve people's earnings and inspire confidence in exporters since bond notes and American dollars remain at par," Pedzai Sakupwanya, the Upfumi Kuvadiki founder, said. "I believe this cocktail of measures are an improvement by the Reserve Bank of Zimbabwe and something which is good for everyone - from those who bring in hard cash into the country and those who don't," he said, adding the surrogate currency "remained a good export incentive, national production and it was not a source of rising inflation". To buttress his point, Sakupwanya said gold production had risen to 28 tonnes so far and tobacco output was 250 million kilogrammes this year at the back of the key incentive. Inflation, he emphasised, was being caused by an increase in money supply and not the bond notes. Meanwhile, Pupurai Togarepi says they were still "compiling a list of economic-crime perpetrators whom they would soon name, and shame". "We also hope the monetary authorities will use present legislation to cause the arrest of these fat cats or where such laws are absent or weak bring such (statutes) to Parliament for improvement and enactment," he said, adding such measures should "include deportations of these miscreants". In a statement last week, Togarepi said the Zanu-PF youth league was aware that they were some party bigwigs and foreigners behind illegal money changers - a practice that was bringing untoward suffering to the ordinary masses. "We have watched in horror and dismay so-called money changers holding this nation to ransom, and we cannot continue to let these greedy and corrupt individuals continue to bleed this great nation, which is on an economic rebound and new political trajectory... just to line their pockets," he thundered, adding they have "the means and the law on their side". "Let those behind these crooks… hoarding our monies know that we have the means to smoke them out… The youth league... will not tolerate this nonsense any further and… we will descend on the robbers who are masquerading as money changers," Togarepi said, adding "the people's patience must never be misconstrued for docility". The Gutu South legislator's warning comes as bond notes and electronic money transfers have continued to tumble against major currencies, thus causing mayhem in organised business and resulting in empty supermarket shelves, shock prices and intermittent commodity supplies.